Prime is abruptly changing its Thursday night line-up to screen live National Basketball League games. The changeover occurs tomorrow at 7.30, when the Jets will square off against The Rangers. 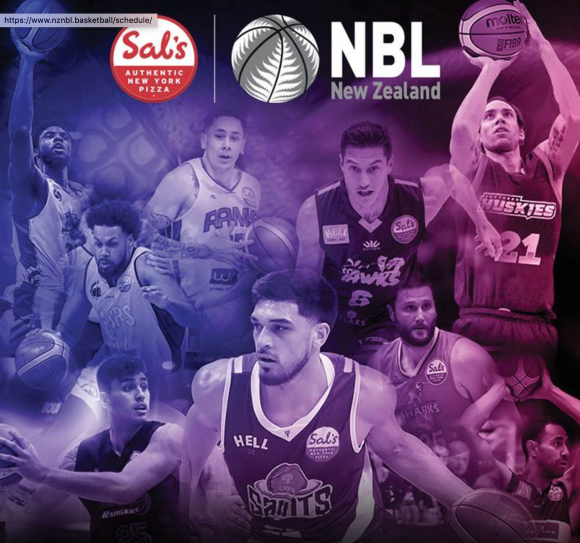 The new weekly NBL slot is being sponsored by Sal’s pizza chain and is the first sign of new Sky chief executive Martin Stewart’s influence on programming of the persistently low-rating channel. A revamp of Sky’s free-to-air channel Prime is on the cards for this winter, with hints that will also put sport more front and centre. Sal’s NBL will push MasterChef USA and Bull off the schedule, and to maintain its male-skewing appeal, new episodes of Ross Kemp: Extreme World will replace Madam Secretary at 9.30. 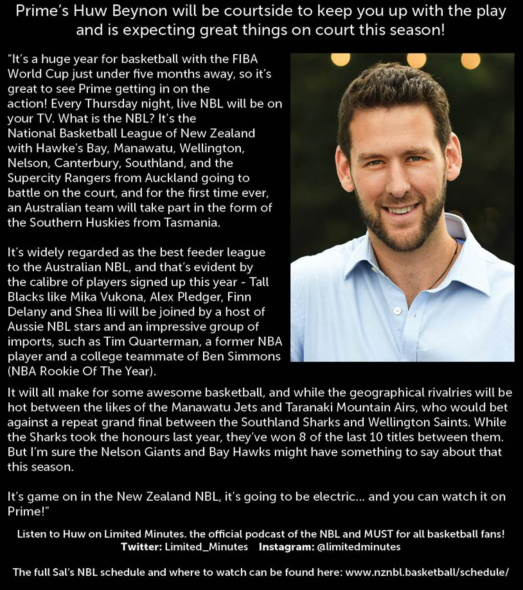 Preceding Sal’s NBL from next week will be Kiwi Basketball Show (6.30 Wednesdays). This is wild. Bold play from Prime/Sky, given the NBL is fairly niche (a few Stuff/NZH articles here and there and some regional coverage but very little national coverage on broadcast). But if it works, it could be a masterstroke for the league … and perhaps more live sport to follow on FTA? And other games (3 per week?) will be live streamed on Stuff. Nice to see. NZ basketball has too long been ignored on FTA. Thanks, Brian. I haven’t seen the overnights. How bad was 25-54? Tonight’s game is also on Sky Sports pop up, didn’t realise this was also on Sky Sports, too. MasterChef had a 3.6% share 25-54 last week. The basketball drew a 1% share Thursday.